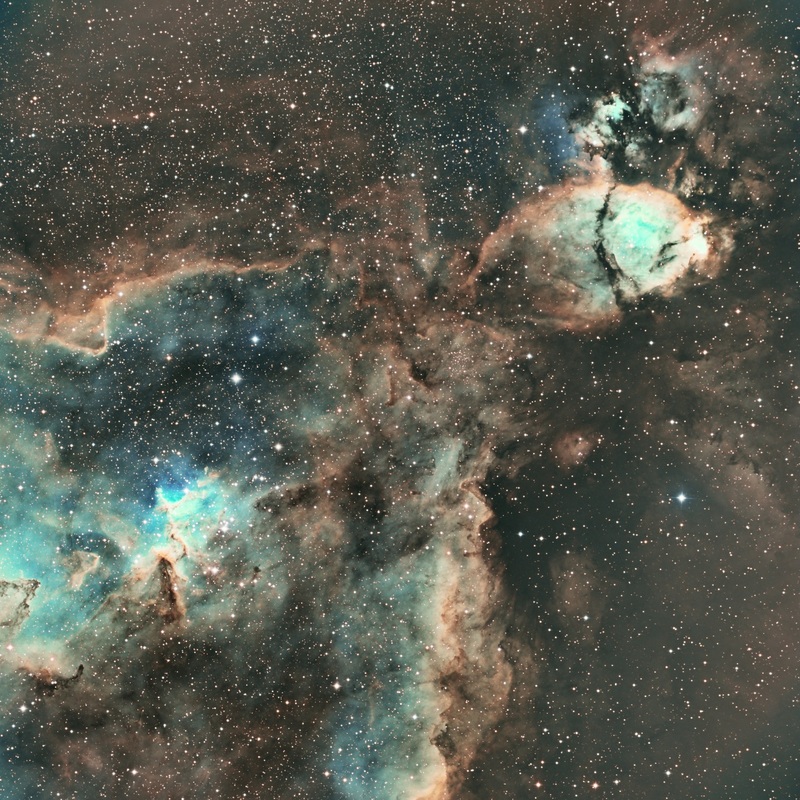 The very brightest part of this nebula (the knot at the western edge) is separately classified as NGC 896, because it was the first part of this nebula to be discovered.The Heart Nebula, IC 1805, Sharpless 2-190, lies some 7500 light years away from Earth and is located in the Perseus Arm of the Galaxy in the constellation Cassiopeia. It was discovered by William Herschel on 3 November 1787. This is an emission nebula showing glowing ionized hydrogen gas and darker dust lanes.